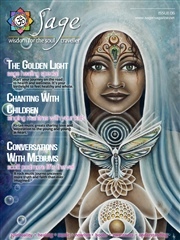 Welcome to Issue 8 of Sage Magazine. 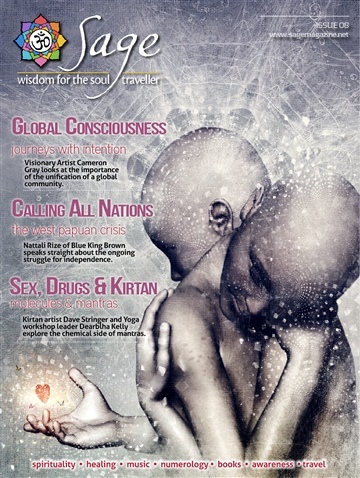 In this issue take a look at global consciousness with the artwork of Cameron Gray, the effect of singing mantras on our body with Dave Stringer and Dearblha Kelly, and we interview Nattali Rize from Blue King Brown to find out more about the West Papuan Crisis. 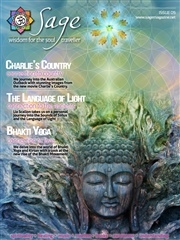 Sit back and enjoy this beautiful issue of Sage Magazine. 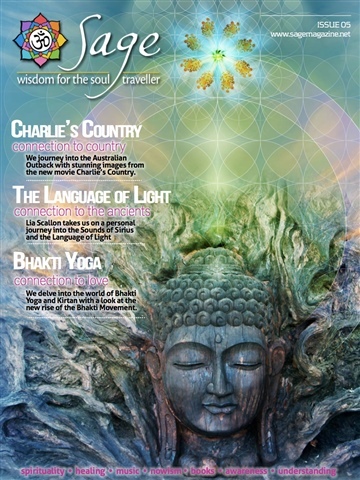 Sage Magazine, Wisdom For The Soul Traveller. 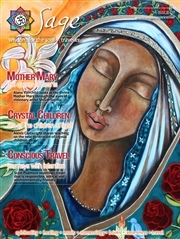 The actual word “Sage” speaks to us on so many levels. On a medicinal level for cleansing, healing and purification; on a physical level for nurturing and nourishment to sustain vitality and good health; and on a spiritual level as a radiant Spirit Guide, shaman, medicine man or mentor – one who prepares the way…and so we share…Wisdom for the Soul Traveller. 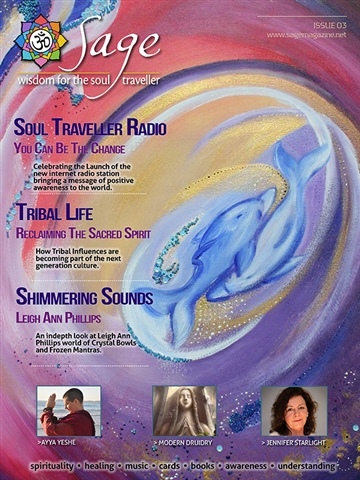 Through Sage, Shayne and the contributing authors seek to support the visionary path of all lightworkers on this planet, who humbly raise the vibrations and light frequencies joyously, by sharing their incredible gifts through their artwork, their music, their written word, their incredible inventive mind or their intention to simply put love on the top of the pile; gently guiding us back to the powerful places of peace and remembering deep within our core essence. Sage Magazine seeks to celebrate our deep conviction to each other and to the Divine Source of all that is. 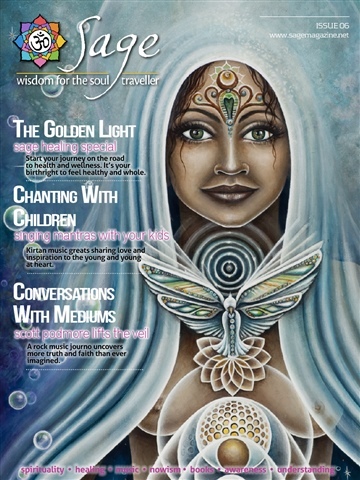 Sage seeks to embrace and nurture all souls on their unique, transformational journeys; offering great giveaways, bliss bytes of music, video to ignite the senses.